Awareness of the effects of added sugars is starting to change how Americans choose what they eat and drink, which is going to become a lot easier with the new labeling and nutrition guidelines ordered by the U.S. Food and Drug Administration. 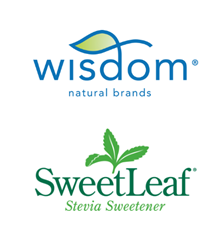 While it may take some time and guidance to get consumers used to the new labeling, Wisdom Natural Brands®, maker of SweetLeaf® Stevia Sweetener, believes the new labels are a boon for those demanding better-for-you options in foods and beverages with no artificial sweeteners and no added sugars. A recent study by the global food company Kerry showed that 7 out of 10 Americans read labels for sugar content. Excessive added dietary sugars have been linked to diabetes, obesity and cardiovascular disease. The American Heart Association recommends limiting daily sugars to 150 calories (9 teaspoons) for men and 100 calories (6 teaspoons) for women and children older than two. Children under the age of two should not consume sugars at all. What many consumers might not know is that sugars are prevalent in packaged foods beyond desserts, cookies and cakes. Some products might boast that they are “natural” or “healthy” and still have added or hidden sugars. There are more than 60 different names for sugar on current food labels, including sucrose, high-fructose corn syrup, barley malt, dextrose, maltose and rice syrup and more. The new labels are intended to let consumers know exactly how much added sugar is in a food or beverage product and under what names. Although this could change, manufacturers with annual food sales of $10 million or more must make the changes by Jan. 1, 2020. Other manufacturers have until Jan. 1, 2021, to change their labels. SweetLeaf® Stevia Sweetener has no sugars, zero calories or carbs, no artificial sweeteners, and is gluten-free with a non-glycemic response. From SweetLeaf’s natural and organic packets, to fruit-flavored Water Drops™ for a yummy upgrade to still or sparkling water, to the delicious flavors of Sweet Drops™ in everyday beverages and foods, the SweetLeaf family of products adds award-winning taste without the negative health effects of added dietary sugars.